European photographers established the earliest commercial studios in Asia, and almost immediately enterprising Asians learned the new technology and started studios of their own. Many Peranakans were among those intrigued by this fledgling art. They captured their own likenesses and dress, their cities and their rituals. The exhibition includes studio and amateur photographs of Peranakans in Malaysia, Indonesia, and Myanmar. 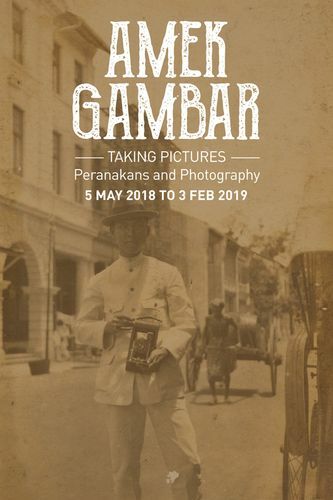 In celebration of a donation by Mr. and Mrs. Lee Kip Lee of 2535 photographs to the Peranakan Museum, Amek Gambar explores the multifaceted role of photography in the lives of Peranakans. For more information, please visit Peranakan Museum website.